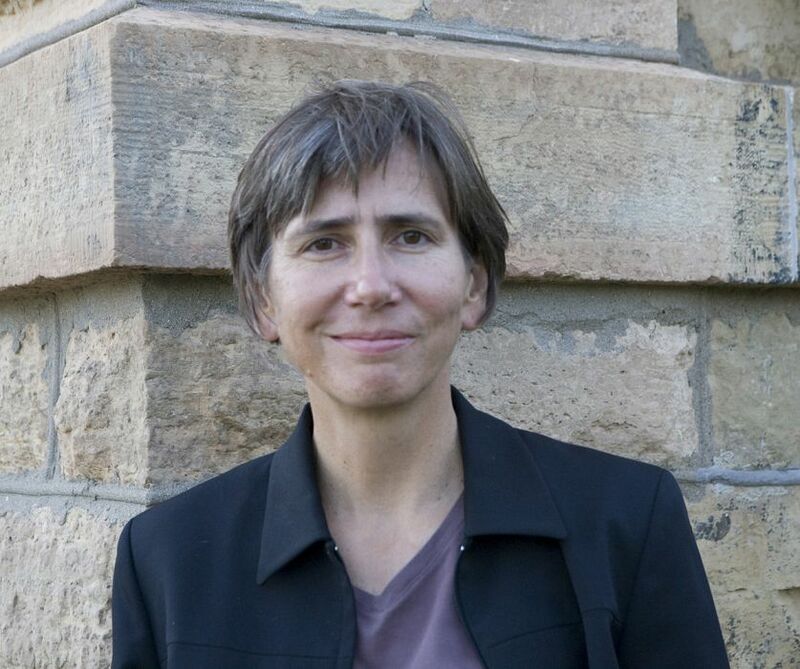 Professor of Philosophy and Gender, Women, and Sexuality Studies, Lisa Heldke, received the 2015 Faculty Scholarly Achievement Award on May 2 at the College’s Honors Day Convocation. Award recipients are nominated for this honor by fellow faculty members based on professional accomplishments regarding research activities in private, public, or corporate settings; publication; presentations at scholarly meetings or conferences; and exhibits or performances. Heldke holds a bachelor’s degree in philosophy and music from Gustavus, along with a master’s degree and Ph.D. from Northwestern University. Her areas of interest and expertise include American philosophy, feminist philosophy, and perhaps most notably, the philosophy of food. She published the book Exotic Appetites: Ruminations of a Food Adventurer in 2003 and is co-author of a forthcoming book titled, Philosophers at Table: The Philosophy of Food. Heldke has also edited several publications including Cooking, Eating, Thinking: Transformative Philosophies of Food with colleague Deane Curtin, and Oppression, Privilege and Resistance: Theoretical Readings on Racism, Sexism and Heterosexism with colleague Peg O’Connor. Heldke is also currently co-editor of Food Culture and Society: An International Journal of Interdisciplinary Research. At Gustavus, Heldke is the founder and coordinator of the Kitchen Cabinet, an advisory committee to the College’s Dining Service. She served as the College’s Sponberg Chair in Ethics from 2006-2012 and received a Gustavus Presidential Faculty-Student Collaboration Grant in 2014. First awarded in 1986, the Faculty Scholarly Achievement Award was reestablished in 2004 and is now announced during the annual Honors Day Convocation. Congrats on this award Prof. Heldke!